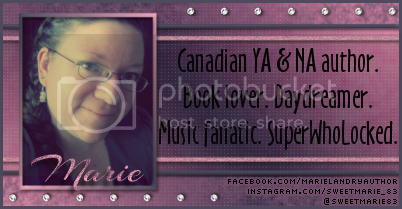 This week, two of my books celebrate anniversaries - yay! Today is the one-year publication anniversary of After the Storm (Angel Island #2), and tomorrow is the 2-year publication anniversary of Waiting for the Storm (Angel Island #1). These two books, along with their companion, Take Them by Storm (Angel Island #3) (released this past January), mean so much to me. Charlotte and her story in particular have a special meaning to me. Charlotte is probably the closest character to myself I’ve ever written, likely because I was experiencing my own grief at the time I wrote it. Waiting for the Storm starts just after Charlotte’s mother died, and I wrote her story shortly after losing my grandmother. It was the easiest and the hardest book I’ve ever written. I wrote it in the span of a couple weeks - the words just flowed like they’d never done before. I cried buckets while writing (and revising), but it was therapeutic for me. Charlotte and Ella’s relationship in Waiting for the Storm is complicated. Ella is in self-destruct mode, and she’s determined to make everyone as miserable as she is. She’s hurting and confused, and taking her pain out on the whole world, but especially Charlotte. When I wrote Waiting for the Storm, I had no idea that it would end up being the first in a companion series, but Ella kept whispering in my ear, telling me she had her own story to tell. Part of me was worried because I knew people hated her in Waiting for the Storm (which was my goal), so I needed to have her redeem herself in a realistic way, and most people responded really well to her story, which made me so happy. The relationship between sisters is often complex, messy, and complicated, and it was fun, painful, and ultimately fulfilling exploring that with Charlotte and Ella. I really wish I could afford to do a great giveaway to celebrate, but unfortunately all my spare cash is currently going into saving for my trip to Europe this June. I promise I’ll make it up to you guys eventually! I have a few fun things planned for later in the year, one in particular for once I’m back from my trip. 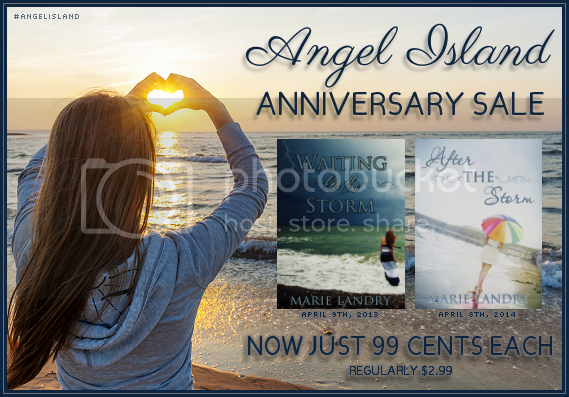 For now, I’ve reduced the price of Waiting for the Storm and After the Storm from $2.99 to 99 cents for the next week. If you haven’t read them yet, this could be a good chance - you can get both for less than the regular price of one! Or if you have read them and you’re feeling generous, maybe you’d like to gift them to a friend? ;-) Also, please feel free to share my graphic on social media - I’d really appreciate it! As always, thank you so much for your support. You guys make this crazy, wonderful journey so worth it. HAPPY BOOK BIRTHDAY! Let's eat cake. I love the cover to these books. I can't believe you wrote Waiting For The Storm that fast. Incredible Marie!